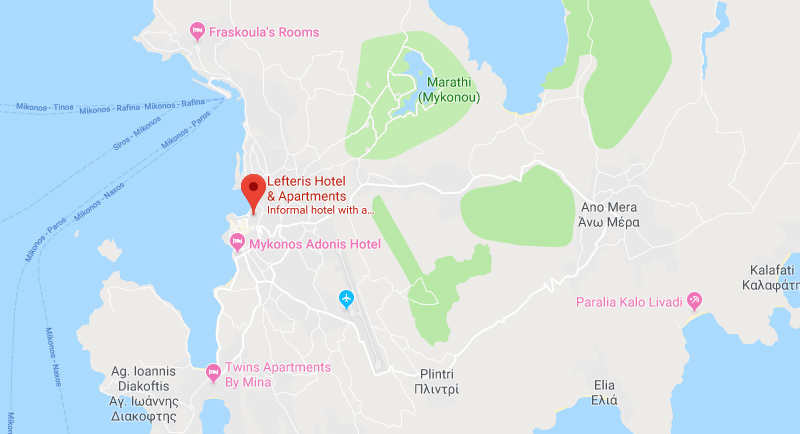 Lefteris Hotel & Apartments is found at a marvelous location at beautiful Mykonos Town (Chora), at a short distance from the center. It is 100m from the sea, 100m. from Matoyianni Street, 300m. from the archaeological museum, 400m from Panagia Paraportiani, 500m from the Windmills, 2km from the airport, 500m from the old port, 2.1km from the new port, and 3.6km from Nammos. 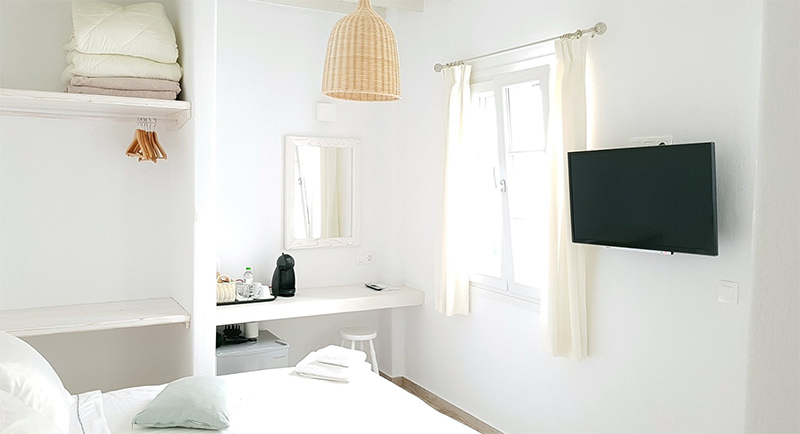 Lefteris Hotel & Apartments is built according to the traditional architecture of the Cyclades islands, and offers its guests rooms, studios and apartments of different types which can easily accommodate 2-4 people accordingly. All are uniquely decorated and fully equipped with all modern amenities to make your stay even more comfortable. The hotel also provides a sunny veranda with a panoramic view of the city and the Aegean Sea, reception, free Wi-Fi, transportation upon request, free printing facilities, and a baby cot upon request. 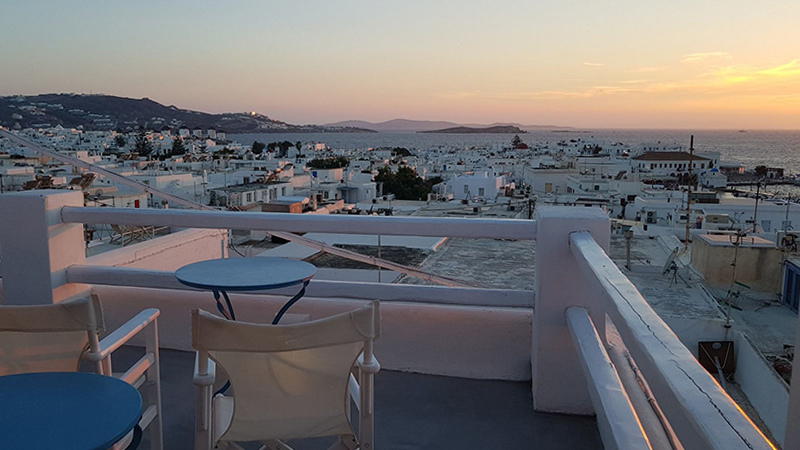 If you are looking for a hotel in a family environment in one of the best locations of Mykonos, with an amazing sunny veranda, then you have found the best choice!